Download this foreword in PDF format with page nos. 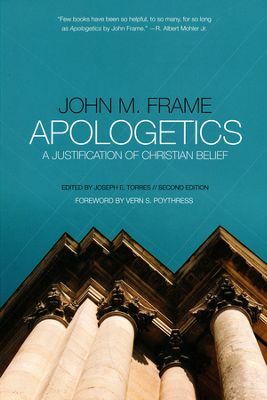 This second, expanded edition of John Frame’s book on apologetics is a vital and welcome contribution, because apologetics continues to be an important area for us to think through. It is important not only for people who are especially interested in evangelism and apologetics, but for every Christian believer. In many prestigious institutions in the West, hostility to Christianity has increased. The need for wise presentation and defense of the Christian faith has therefore also increased. I commend this book to the attention of Christians everywhere because it helps us to live as Christians, in accord with what God did to renew us when he brought us to know Christ and to bow to him as Lord. What more should be said? I will briefly underline a few salient points that Frame’s book expounds at length. The Bible has instructions and insights that affect every area of life, including apologetics. Our conduct is not the basis for our salvation, but is influenced by our salvation. The Bible indicates that God brings salvation to those who trust in Jesus. This salvation is a gift of God’s grace, not something that we earn or deserve on the basis of achievement. We do not try to transform ourselves in order to be saved. Rather, God saves us by reaching out to us in our state of sin and alienation from him. But then any person who is saved is also transformed by the power of God. A Christian believer is not supposed to just lie still, relax, and enjoy the salvation already given to him. He is to be active in serving the Lord, like an athlete or a farmer working hard (1 Cor. 9:24–26; 2 Tim. 2:5–6). Jesus says, “If you love me, you will keep my commandments” (John 14:15). A true disciple is never “off duty.” He is always a disciple. He is a disciple in the actions of his body, and a disciple also in the actions of his mind—a renewed mind. Consequently, he is a disciple in every word that he utters in an apologetic discussion. So discipleship has implications for apologetics. If Sue is a Christian believer, she must remain a believer and act like a believer when she is in discussions with non-Christians. She cannot pretend to be religiously neutral when she evaluates religious or philosophical claims, or discusses miracles, or discusses who Jesus Christ is, or discusses the basis for moral standards. She cannot be neutral because God has already given her truth in Jesus Christ. She ought not to betray what God has given. Of course, she must grow in knowing Christ. But she already has some fundamental answers. And God intends that she should use these answers. She knows that Jesus is indeed the Son of God, not just a prophet, not just a religious teacher. She knows that the miracles of Christ described in the Gospels are real, just as Christ is real. She knows that God’s standards for morality, such as he gives in the Ten Commandments, are expressions of true moral standards, not just relative cultural preferences. In these and many other ways, she is thinking and evaluating issues in a different way from non-Christians. In the words of Scripture, she is committed to “destroy arguments and every lofty opinion raised against the knowledge of God, and [to] take every thought captive to obey Christ” (2 Cor. 10:5). Her supreme loyalty is to Christ. And that loyalty gets exercised in her thinking, as well as in her bodily actions. Sue’s defense of the faith should be in harmony with regarding “Christ the Lord as holy” in her heart. Many people are tempted to picture a discussion in apologetics as a religiously neutral search for truth. Everyone supposedly starts off uncommitted and is trying to find out whether God exists, and which of the world religions might be true. According to this way of thinking, it is most important that everyone should be “unbiased.” But the Bible indicates that this picture is completely unrealistic. It contradicts the actual situation in which we live. The actual situation is that some people have been saved by the grace of God in Christ, while others are still lost. In short, non-Christians are biased by a commitment against God. So what picture of apologetics is right? Are some people wandering around among religious possibilities in a neutral way? Or is everyone already “biased”? And if everyone is already biased, are all biases created equal? Or is there a pronounced difference between knowing the truth in Christ and not knowing it? Here is one area where loyalty to Christ matters. If we are loyal to him with our minds, we must think through apologetics in a way that rejects the idea of neutrality and accepts the Bible’s own description of the nature of the situation. Such renewed thinking is what John Frame undertakes in his book. Such an approach has been called presuppositional apologetics. Why? Because we who are believers in Christ are already presupposing our loyalty to Christ and the truth about Christ presented in the Bible. The involvement of presuppositions is not an intellectual game. It is not just an exercise in logic, in which someone proposes, “Let us explore in a disinterested way where various presuppositions lead.” It is a requirement for Christian discipleship. A disciple, as we have observed, is committed. 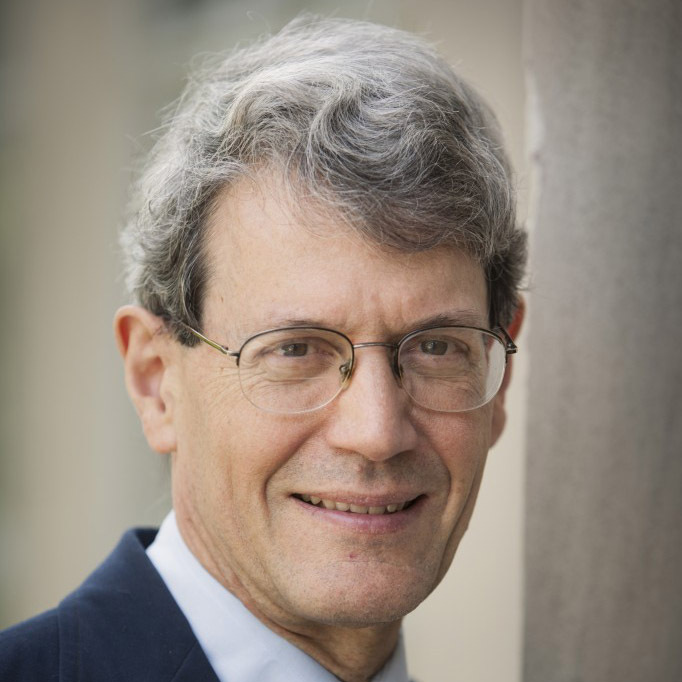 John Frame prefers the label basic commitments to presuppositions for this reason. The whole person is involved. No one is religiously neutral. And not just any presuppositions will do. It matters in a crucial way whether we are following Christ or Buddha or Joseph Smith or Immanuel Kant. Knowing the truth in Christ leads to growing knowledge of the truth. Substituting a counterfeit for the truth leads to confusion (Prov. 4:18–19). One of the common objections to presuppositional apologetics is that it represents an argument in a circle. “And so,” the objector says, “it has no real power to persuade anyone who is not already persuaded.” Frame handles this objection at greater length in his book.1 But I may say a brief word here: this picture of the “circle” of presuppositional apologetics is a misunderstanding. On the one hand, every person has a kind of circle, in that no one is religiously neutral. If our loyalty to Christ leads us to submitting to his teaching in the Bible, we move in a kind of circle in which the teaching of the Bible functions as our standard for sifting claims. The teaching in the Bible profoundly influences our beliefs. Among those beliefs is belief in Christ, which the Bible confirms. Analogously, people with other basic commitments—to reason or to pleasure—have their beliefs influenced by their commitments. We ought to acknowledge the existence of these circles, rather than try to ignore them. Given that the circles exist, we can still present evidence and arguments, just as the apostles did in their sermons in Acts, and just as the Old Testament prophets did when they called on people to turn back from idols to the living God. In fact, the whole world offers evidence for God, as Romans 1:18–23 indicates. God is continually presenting people with the truth about himself, both through general revelation in nature and through special revelation in Scripture. Scripture in particular is designed to present the gospel, and the gospel “is the power of God for salvation to everyone who believes, to the Jew first and also to the Greek” (Rom. 1:16). The gospel leads to people’s salvation. It does persuade people (Acts 17:4, 12; 28:24). Through the gospel, the Holy Spirit changes people and brings them to faith. Through the power of the Holy Spirit, people have their spiritual eyes opened and come to acknowledge the evidence. Each one of us who has become a believer has made a transition from darkness to light. Each of us has changed the circle of belief. Somehow, through the illumination of the Holy Spirit, we woke up to what was true all along, namely, that God the Father of Jesus Christ is the true God and there is no other. We rejected former religious commitments—commitment to a traditional form of false religion, or commitment to atheism or agnosticism, or commitment to the worship of money or pleasure, or some other modern form of ultimate allegiance. When we rejected former religious commitments, we did not become neutral in religion. We came to Christ. Without Christ and the working of his truth and his power, we never would have made the transition. Religious neutrality is a mirage. It is a mirage that never existed in our life. And so why should we pretend in apologetics that it is an ideal that an unbeliever should emulate, or that we ourselves should temporarily emulate for the sake of dialogue? It is disloyalty to Christ to pretend that the desire for neutrality is a good thing. Once again, “whoever is not with me is against me” (Matt. 12:30). The Bible’s picture of proper human living is radically different from the world’s picture, and the difference occurs already at a very basic level, namely, over the question of the independence of human thinking and the independence of human decision-making. Let us approach the question of independence by considering how the Bible describes the place that verbal communication from God plays in human living. God created man “in the image of God,” according to Genesis 1:26–27. He did not create man to live in isolation, but to live in personal communion with God himself. We can appreciate this communion when we see the contrast between the situation before the fall of Adam into sin and the situation afterward. Afterward, Adam and Eve tried to hide (Gen. 3:8–10). They were afraid to stand in God’s presence. God was “walking in the garden,” according to Genesis 3:8, so that if they had not sinned they could have walked with him. One aspect of this personal communion between God and man is communication in language. Before the fall into sin, God instructed man concerning his role (Gen. 1:28–30) and his obligations with respect to the tree of knowledge (2:16–17). Immediately after the fall, God continued to speak to Adam and Eve (3:9–19). He gave words of judgment indicating some of the penalties for their sin. But he also gave a word of comfort: he promised to send the offspring of the woman to triumph over the serpent, that is, over Satan (3:15). It is evident even from this early narrative that God intended his verbal communications with mankind to play a crucial role. Verbal communication was one aspect of personal communion between God and man. Through his words God also gave guidance and direction in both general and specific ways. At the general level, God indicated that human beings were to “be fruitful and multiply and fill the earth and subdue it” (Gen. 1:28). God also gave specific instructions about not eating the fruit from the tree of the knowledge of good and evil (2:17). When he created man, God never intended that man should find his way in the world just by using his mind and observing the trees and the soil around him. God spoke. God instructed. And because it was God who spoke, he spoke with absolute authority, the authority of the Creator. This speech was designed to govern everything else in human life. We see the same theme of the centrality of God’s instruction later on. God’s instruction was central for Noah, when God commanded Noah to build the ark (Gen. 6:13–22). It was central for Abram, when God commanded him to leave Ur of the Chaldeans (Gen. 12:1–4). Now this is the commandment, the statutes and the rules that the Lord your God commanded me to teach you, that you may do them in the land to which you are going over, to possess it, that you may fear the Lord your God, you and your son and your son’s son, by keeping all his statutes and his commandments, which I command you, all the days of your life, and that your days may be long. Hear therefore, O Israel, and be careful to do them, that it may go well with you, and that you may multiply greatly, as the Lord, the God of your fathers, has promised you, in a land flowing with milk and honey. The responsibilities placed on Israel are similar to the responsibilities that a Christian disciple has in our day. The Christian disciple is never off duty. He is a disciple in all circumstances because Christ is his Master in all circumstances. Christ is Lord in all of life. Similarly, Israel was responsible for hearing and keeping God’s commandments in all circumstances: “when you sit in your house, and when you walk by the way, and when you lie down, and when you rise” (Deut. 6:7). Discipleship involves listening to God’s instruction. And we are not only to listen, but to obey—to keep God’s commandments. Some of the passages focus on God’s “commandments” and his “statutes.” But these commandments do not come as just an isolated list of rules, which would be independent of God. God speaks them. And he speaks them in contexts in which he gives himself to us and instructs us. Everything that God gives us in Scripture helps to guide how we understand the parts that contain specific commandments. All of God’s speech serves to guide us. In our day, we have a completed canon of Scripture. And all of that canon functions to guide us. We considered earlier what it means to be a disciple of Christ. It means submitting to his teaching. And we find among his teachings affirmations of the divine authority of the Old Testament (Matt. 5:17–19; 19:4; John 10:35).2 So we infer that we must receive the Old Testament as God’s Word and submit to its claims. Since the New Testament apostles are commissioned by Christ, they have his authority, and we submit to New Testament teaching as well. In sum, God does not leave us to our own thoughts. He guides us by speaking to us. Today he speaks through the completed canon of Scripture. He intends that his words should have a central role in guiding the whole of life. God created human beings in the beginning with this process of verbal communication already in view. We were created by God to have continual communication with him. We falsify what we are as creatures when we attempt to just “work out the truth” independently. The Bible also includes some instances of human beings’ attempting the alternative strategy of working independently of God. The history of the alternative starts in the garden of Eden. Adam and Eve decided to make up their minds for themselves in their thinking about the fruit of the tree of the knowledge of good and evil. That step involved rebelling against God, ceasing to trust him, and rebelling against and despising the good words of direction that God gave. The history continued in the wilderness, where the people were determined to appoint a new leader instead of Moses and return to Egypt (Num. 14:3–4). Later they decided to go up on their own initiative and take the land from the Canaanites (14:40, 44). This kind of behavior represents the desire to be autonomous , to make up one’s one mind regardless of what God says. The pattern continues in modern universities. With few exceptions, the overall atmosphere for university learning is an atmosphere of autonomy. That atmosphere is mostly assumed, rather than being discussed or questioned. Followers of Christ submit to his teaching. Most other people in the university setting prefer to submit to no one. They think that their approach is obviously right, and they despise genuine Christian faith. They think that Bible-believing Christians are naive or dogmatic or both. Here we have a modern polarization between Christians, who submit to the teaching of God in the Bible, and non-Christians, who do not. This polarization echoes the polarization in Scripture itself between the desire for autonomy and the desire to serve God faithfully. Adam and Eve in their first sin desired autonomy. In the wilderness the Israelites in their desire for autonomy proposed to appoint a new leader and return to Egypt. By contrast, faithful saints listen to God’s instruction. It follows that modern universities are not religiously neutral, though they pretend to be. The atmosphere of autonomy represents a form of deep rebellion against God. Most participants in a university are committed to following their own way, and in so doing they are also committed to rejecting God’s way. But is the commitment of non-Christians really this bad? Some people might claim that non-Christians are merely ignorant of the truth, not actively committed to resisting God’s way and God’s instruction. It is true that some people on the face of the earth have never heard about the Bible or the description that the Bible gives of the true God, or the message of salvation in Christ that the Bible contains. But even these people are not neutral. According to Romans 1:18–23, they have general revelation and a knowledge of the true God. They suppress this knowledge. But the participants in a modern university in the West are typically much worse off. They aspire to be educated. They aspire to search for truth or to search for a wise way to live. And unless their education is peculiarly defective, they will know at least bits—maybe highly distorted bits—about the nature of Christian faith and the Bible. And because of their commitment to autonomy, they have already determined to reject the transcendent claims that come from Christianity. Someone might still want to argue in their favor, by pointing out that what they know is only a grievous distortion, and so they have an excuse. Yes, there are many distorted understandings. And here is where questions about apologetics strategy begin. If the problem is only that they do not know what the Bible claims and what genuine Christians believe, communication from a Christian can take the form of a simple presentation of the gospel. What will be the reaction? God might use the gospel to draw a person to faith. The gospel has divine power (Rom. 1:16) and may overcome all objections. But does a simple presentation of the gospel always lead to a response in faith? No. Why not? Often modern people are not even curious about the gospel. They are convinced secularists. They are already committed to another way of life. But even if they are curious, their curiosity is mixed with resistance. The gospel is not pleasing to people who are in rebellion against God and are determined to continue in rebellion (1 Cor. 1:18–31). Questions of apologetics arise, then, when Christian proclamation meets resistance and objections. And the resistance and objections do not come from nowhere. They are energized not merely by the general love of autonomy, but often by pride and comfort that the individual participant at a university feels because of the alleged superiority of the principle of autonomy and the knowledge claims of the university. The alleged superiority of the university contrasts with the alleged ignorance and primitive thought of Bible-believing Christianity. I focus on the university setting because the atmosphere of autonomy is so strong and so obvious. It is the basic assumption about how to conduct discussion about any point at issue. But of course the universities influence everything else. The powerful people in business, education, media, and politics are usually university-educated. So the polarization between Bible-believing Christians and nearly everyone else characterizes most portions of Western societies. In all this, my point is that Christians and non-Christians do not think alike and do not make the same assumptions. They have different assumptions in particular about the role of the Bible and the role of “making up one’s own mind” and running one’s own life. The Bible itself contains many examples of the difference. We must reckon with this difference when we prepare for apologetic discussion. So how will we conduct an apologetic discussion with an unbeliever? Will we undertake to present evidence for the resurrection of Christ? Of course. But how will we do it? Will we do it without any attention to what people think are the standards for evaluating evidence? Then we run the danger that unbelieving hearers will never analyze what might be mistaken in their idea of appropriate standards. There is plenty of evidence for the resurrection, as Paul indicates in 1 Corinthians 15:3–8. But evidence gets interpreted against a background of assumptions. Paul interprets the evidence against the background of the Old Testament, as he indicates by the phrase “in accordance with the Scriptures,” twice repeated (1 Cor. 15:3–4). By contrast, a modern unbeliever might interpret the testimonies of 1 Corinthians 15:3–8 and elsewhere against a background that includes the assumption that science has shown that miracles are impossible. This assumption has a firm place in an unbeliever’s mind partly because the commitment to autonomy in thought contributes to a manner of thinking in which human insights become ultimate godlike claims rather than approximations. A regularity perceived by science is viewed as truth, rather than an approximation that might have exceptions because God can work exceptionally. So we are wise if we tackle the ways in which modern assumptions differ from the Christian view. How else might we try to persuade an unbeliever? Will we present an argument for the existence of God, perhaps the argument for a first cause? Well, God is the first cause (Gen. 1:1). But how will an unbeliever understand such an argument? Typically, his commitment to autonomy leads him to treat all causes on a level. And that kind of understanding leads not to the God of the Bible, but to one more cause on the same level with the causes involving the interaction of two created things. One billiard ball hits another. Can we trace the causes of the billiard balls back into the past? Even if there is a first cause, it gets demoted by autonomous thinking to one cause among many. It is one billiard ball among many. We need to challenge the underlying assumptions. Otherwise, the claims from the Bible tend to get distorted and rejected as they are filtered and misunderstood through the lens of antibiblical assumptions—a non-Christian worldview. So we undertake to analyze the assumptions and commitments that belong to unbelief and that energize objections to the gospel. When we consider typical intellectual objections within the Western world, we find at least three vulnerabilities among these assumptions. First, we find irony. Non-Christians think of Christian faith as ignorant and dogmatic. But ironically, they have ignorance and dogmatism of their own. The typical inhabitant of the university system looks down on Christianity in the midst of considerable ignorance concerning its actual claims, and in the midst of massive ignorance about the roots of his own notions. He feels comfortable affirming autonomy and rejecting Christianity, not because he has analyzed or checked out his commitments, but because everyone around him has similar notions. He has just accepted an atmosphere. And he is ignorant that this is what has happened. Having accepted the atmosphere, he holds it dogmatically. He is afraid of losing social position if he asks prying questions about it. He is influenced by pride and by fear. His reactions display not only ignorance but sin. Second, some people might have thought through autonomy and might reject Christian faith in a much more informed way. But they, too, have the foundations of their lives on sand. For example, they have no firm foundation for moral judgments. If God does not exist, moral standards evaporate into personal or social preferences. The attempt to pronounce judgments about the alleged ignorance and dogmatism of a Christian evaporates into the will to exercise power, according to which a person projects his subjective preferences onto others. Similarly, knowledge might evaporate into skepticism as a person wonders how he can know that his mental apparatus is properly in tune with the world. The moral standards for knowledge itself disappear, and with them standards for evaluating what claims to be knowledge. Third, the non-Christian secretly depends on God and his good gifts, day by day, in issues of morality and knowledge and other spheres. All three of these vulnerabilities represent possible starting points for apologetic discussion. Frame’s book helps us forward in the process. Let us consider a bit more the third vulnerability, concerning secret dependence on God. A robust doctrine of general revelation helps apologetics because it enhances appreciation of human dependence on God and the human knowledge of God that unbelievers are engaged in suppressing. In his book Introduction to Systematic Theology,3 Cornelius Van Til took care to work out a robust appreciation of general revelation, before discussing special revelation and Scripture. He saw that our thinking about general revelation makes a difference. In particular, Romans 1:18–23 makes a difference, by its claim that creation reveals God and that human beings consequently know God. A non-Christian in the West typically assumes that reality consists in facts that do not clearly reveal God. If a Christian concedes this assumption, or if he appears to concede it by never challenging it, the special claims of Scripture soon lose plausibility. A divine voice in Scripture does not fit into a world where God is allegedly absent. The resurrection of Christ also loses plausibility. A special miraculous act in which God raises his Son from the dead makes no sense in a world of mere “facts,” where God is effectively absent. If the non-Christian gains the alleged “right” to interpret the world autonomously, he will also interpret Scripture autonomously, and conclude that it is merely human. He will interpret the resurrection autonomously, and conclude that it is a mythic story. Or even if he admits that it happened, it remains a strange exception without meaning. He might say, “Strange things sometimes happen. Who knows what they mean?” Suppression of general revelation, if conceded, leads to suppression of special revelation. On the other hand, a robust understanding of general revelation helps to unveil ways in which the knowledge of God is suppressed in unbelief. Non-Christians depend on God and simultaneously corrupt their knowledge of God in their situation of dependence. Frame unpacks the dependencies. In the providence of God I, too, have tried to make a contribution. 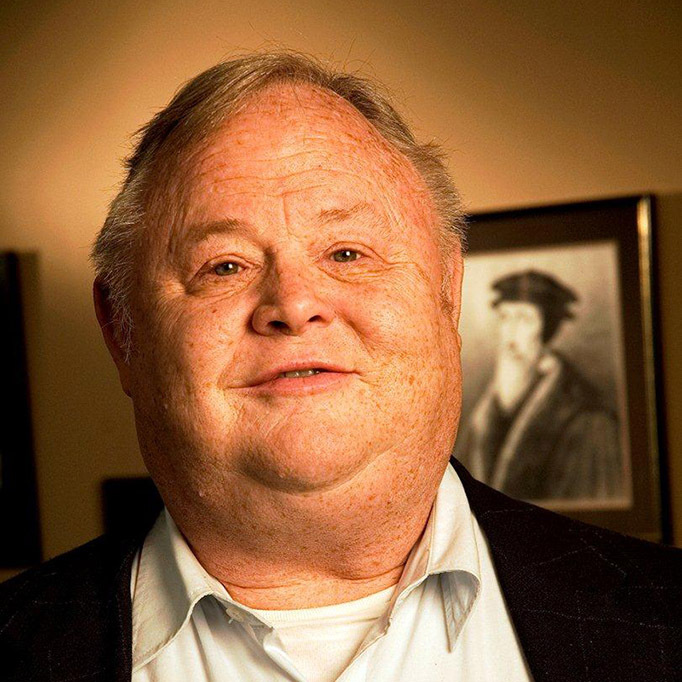 My work has not focused primarily on the challenges involved in direct apologetic dialogue and confrontation with unbelievers; rather, I have focused on positive appreciation of the nature of general revelation. In the process, I have come to appreciate more deeply that every nook and cranny of science and scientific law, every nook and cranny of language, every bit of personal relationships, every piece in the area of logic—each testifies to its source in God, whom we continually meet. God made human beings themselves for the purpose of enjoying his glory: “Man’s chief end is to glorify God, and to enjoy him forever” (Westminster Shorter Catechism Answer 1). The phrase in the original title of Frame’s book, To the Glory of God , is apt. We are called by God to praise his glory as he reveals himself through science and language and relationships and so on. In general revelation as well as in special revelation, God the Father reveals his glorious character through the radiance of God the Son in the power of the Holy Spirit. We were created to perceive and receive this glory. We depend on him at every point. And if, when we look around us, we evade and suppress this revelation, we deny not only the reality concerning what we see, but our own selves. We return to the beginning. What is needed is discipleship to Christ. Of course we need to be calling to discipleship those who are caught in the prison of unbelief and darkness. But we also need to grow as disciples ourselves. Serious discipleship leads to understanding God and the world. And understanding bears fruit in apologetics. Every piece of food and every moral issue are potential starting points for apologetic discussion, because every apple testifies to its source in God. In the end, Frame’s book expounds discipleship in the arena of apologetics. To do so is also to expound the glory of God—it is to write apologetics to the glory of God. Note also Joseph E. Torres’s Appendix D.
See John Murray, “The Attestation of Scripture,” in The Infallible Word (Philadelphia: Presbyterian and Reformed, 1946), 1–54. Cornelius Van Til, An Introduction to Systematic Theology: Prolegomena and the Doctrines of Revelation, Scripture, and God, ed. William Edgar, 2nd ed. (Phillipsburg, NJ: P&R Publishing, 2007).